Jessica Spiro, RD | Promoting nutrition through the lens of good food, fun fitness trends, & travel! Promoting nutrition through the lens of good food, fun fitness trends, & travel! If you have kids headed back to school, you may be struggling with what to send in their lunch boxes. While you want their meals to be healthy, you also want their lunch boxes to come back empty. But there are definitely tips, tricks and creative meal ideas that will make creating lunches for your little ones. 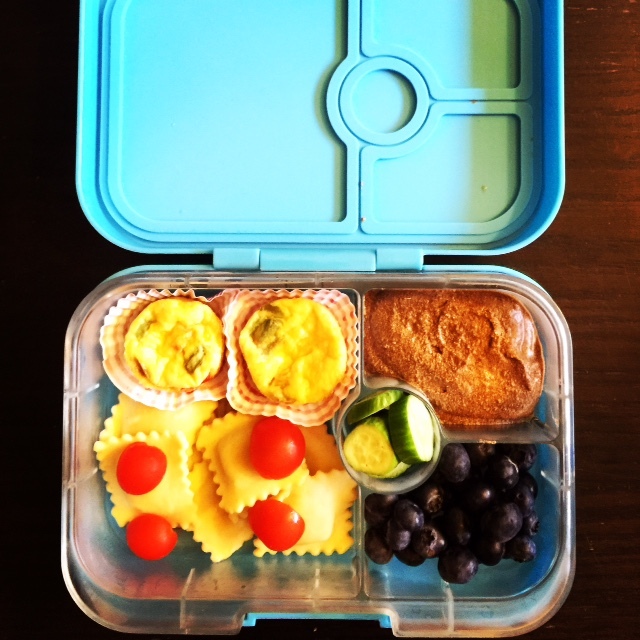 Your kids will be more likely to eat their lunches if they look appealing and fun to eat. One way is to present familiar foods in a fun way to entice them. For example, making funny faces or using cupcake holders are easy ways to make a typical meal more appealing. Also engage them by offering items like dips, which most kids love. I also highly recommend investing in a good lunch box. My two favorite lunch boxes are YumBox and PlanetBox. 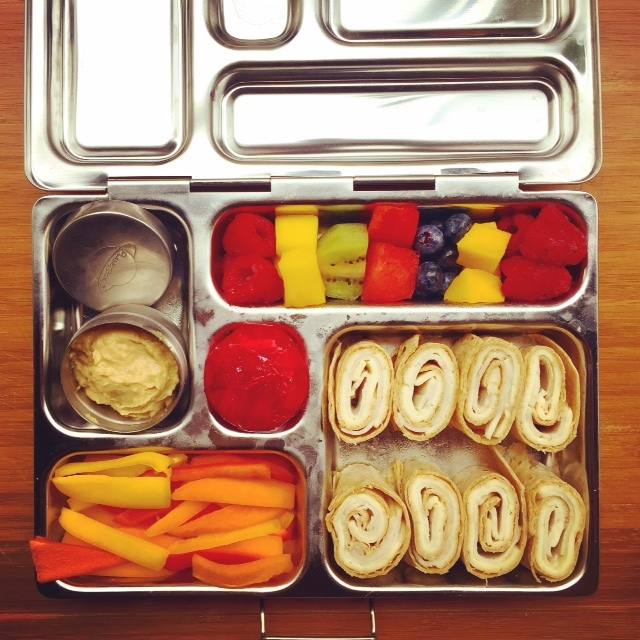 YumBox is leak proof so you can put hummus or yogurt right in the lunch box. Plus they are absolutely adorable! PlanetBox is made from stainless steel and includes removable parts so you can modify the box depending on what you’re including in their lunches. Have your kids help prepare the meals so they will be proud and excited about what they’re eating. You can have your kids help by allowing them to choose between options (e.g. apples slices or orange segments, chicken or turkey, etc). In addition, you can have them help by having them actually prepare the food (e.g. dip strawberries in chocolate, put veggies and cheese on a toothpick/skewer). Make meal planning easier by reusing leftovers. For example, you can make a big pot of chili, or even soup, for dinner one night and then send your child with it in a thermos for lunch later in the week. With meals like chili, you can also include a variety of food groups in one pot and also use up any other leftover foods that you don’t want to go to waste. Do you have a difficult time getting your child to eat protein, like chicken or beans? What about those healthy fats. Are your kids not fans of guacamole or olive oil in their pasta? Well, here are two of my favorite easy yet creative recipes that you can put in your child’s lunch box! 3) Blend well and chill! What’s your favorite healthy school lunch to make? I would love to hear your tips, tricks and ideas! This entry was posted in Uncategorized on August 20, 2015 by JessicaSpiroRD. Healthy Snacks for Your Summer Road Trip! Click here for the San Diego 6 Segment! Cucumbers. Cucumbers are an incredibly hydrating snack. Cucumbers are 95% water to keep you refreshed on your long journey. Plus, they are packed with B vitamins for energy and soluble fiber to help you stay full. 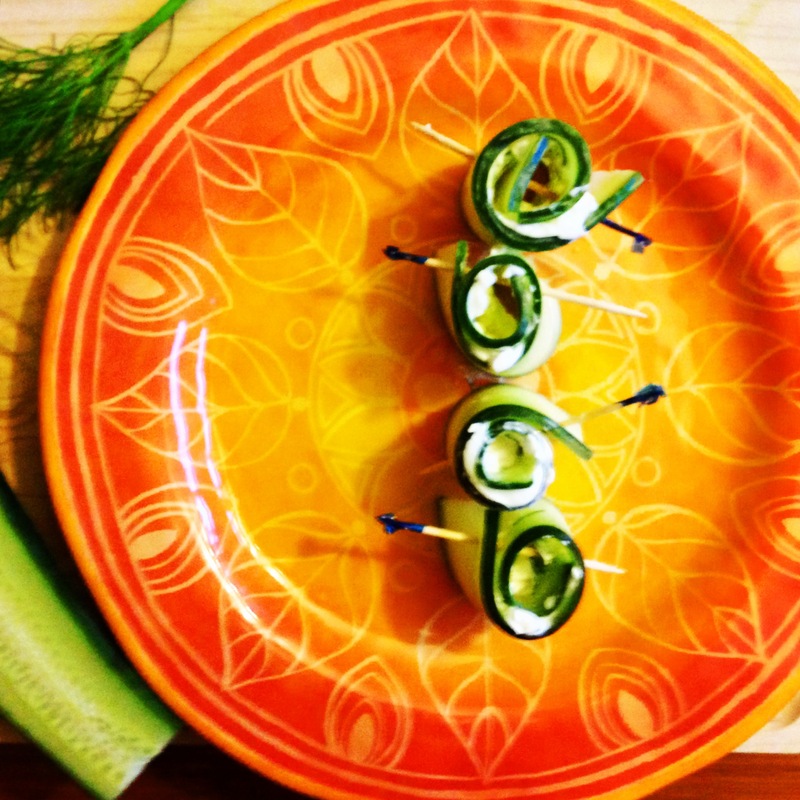 I absolutely love a cool, crisp cucumber to munch on my drive but you can also get creative with cucumber roll-ups. Garbanzo Beans. All beans are a great source of plant-based protein and fiber. Not only does fiber help you stay satisfied, but it also helps slow down sugars from rapidly absorbing into your bloodstream. This helps keep your blood sugars stable because, let’s face it, nobody wants to be in a car with kids (or spouses) jumping off the walls from a sugar high and then melting down when they crash! 10) Cool to room temperature or enjoy warm! This entry was posted in Uncategorized on July 23, 2015 by JessicaSpiroRD. -NOTE: You can easily swap the mascarpone with Greek yogurt! 5) Serve warm or at room temperature! 4) Enjoy as a mocktail or cocktail by adding rum or white wine! 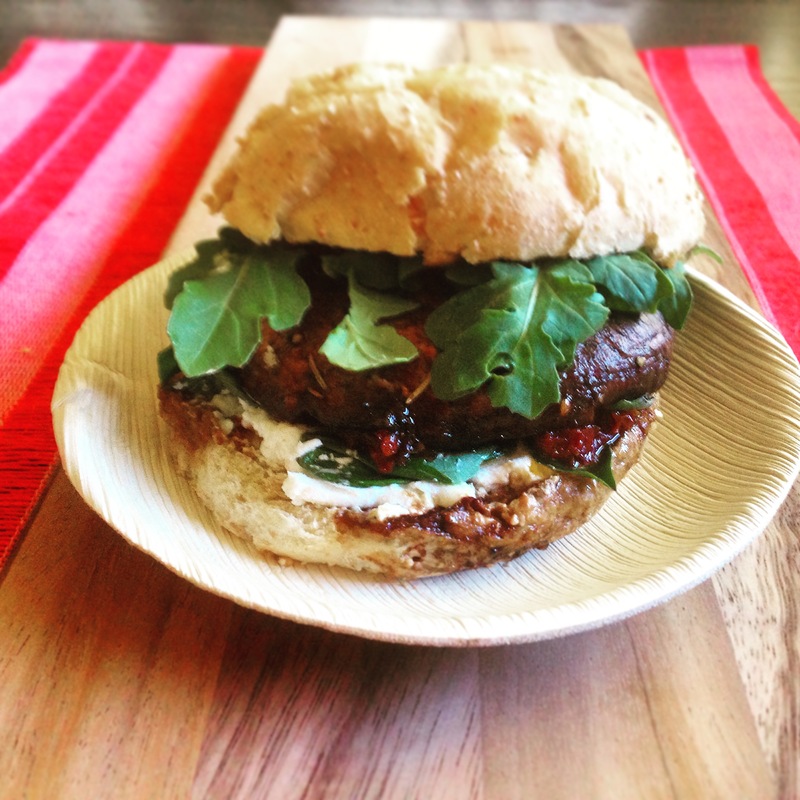 Click here to check out my segment featuring these recipes on KUSI! This entry was posted in Uncategorized on May 22, 2015 by JessicaSpiroRD. Spring is in full swing, and that means it’s time to start crossing off your list of spring cleaning projects. But there’s one room in the house many of us tend to overlook –the kitchen! Not only is it important to give your kitchen a good scrub down, it’s also a great time to give your family’s eating habits a fresh start. 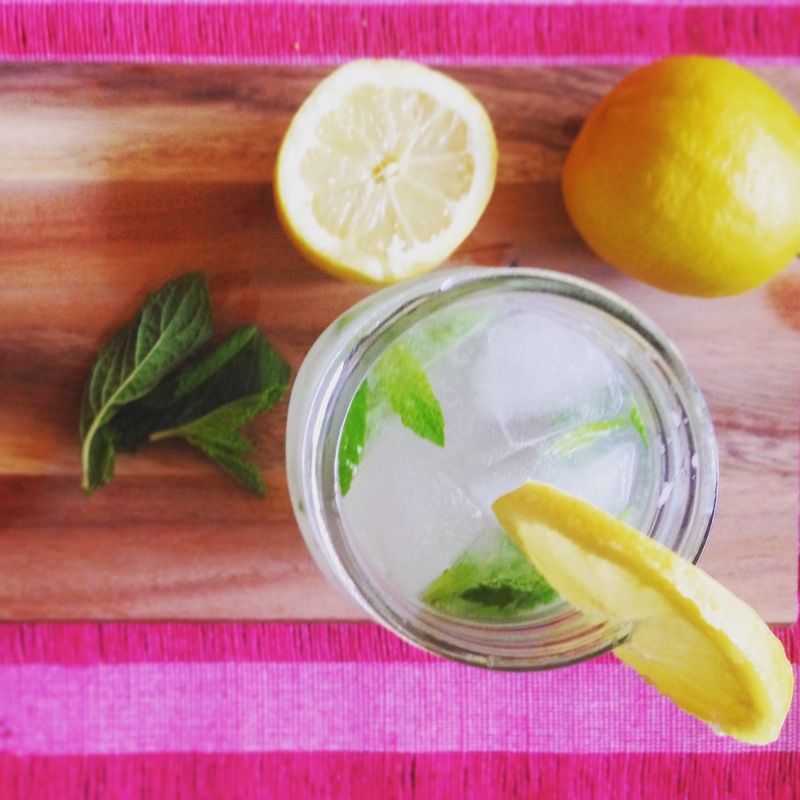 Here are 5 easy ways to help you spring clean your kitchen… and diet! 1) Deep clean your kitchen. It’s easy to have an out of sight out of mind mentali ty when it comes to the germs lurking in your kitchen, but it’s important to tackle your kitchen head on. Not only is it where your family frequents most, but it can often be the source of foodborne illnesses. On your to-do list, be sure to include the fridge, the cupboards and pantry, the microwave, the toaster and the oven too! While the task may seem daunting, the feeling you get once your kitchen is clean is like no other. So put on a fun playlist, grab the gloves and dive in! 2) Out with old. Grab a giant garbage bag and toss any expired or questionable items. The spice rack can be the most confusing. Most spices and dried herbs are fine to eat 1-3 years after opening, and usually just lose flavor over time. However, if you’re not sure if something is safe to eat, remember the saying- when in doubt, throw it out! 3) Make a grocery list. Did you know people who go to the grocery store without a list buy twice as much as shoppers who use a list? And going to the store empty-handed makes you more susceptible to making less healthy choices as well. Use an old-fashioned scratch piece of paper or just type your list in your smart phone. 4) In with the new. 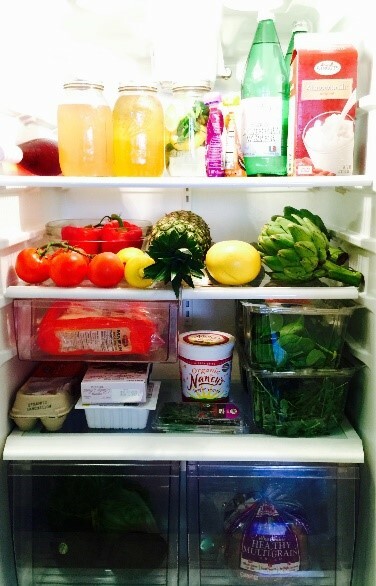 Focus on filling your fridge with fresh fruits and veggies. The best way to make sure you use the produce you buy is to wash it and put it in a glass bo wl or container as soon as you get home. You can also freeze certain fruits to make a great warm weather treat that you can eat plain or use to make smoothies. Want to add a spring touch to your kitchen without having to buy expensive flowers? Try buying a basil, mint, and/or rosemary plant and placing in bright-colored pots. Not only do herb plants look nice but they smell great too. Plus, the kids will have fun picking the leaves when it’s time for dinner! 5) Give your meals a makeover. Did you toss out a jar of mayo or an old bag of chips that you found in the back of the pantry? Instead of buying the same thing, think about replacing unhealthy items with healthier versions. For example, Greek yogurt can be used as a dip by adding lime and cilantro, as a snack by topping with fruit, or as an “ice cream” by blending with frozen bananas, hazelnut butter and chocolate… trust me, it’s really good! You can also makeover your snack foods. Replace store-bought trail mix with your own DIY versions that your kids can help make; replace bagged popcorn with home popped popcorn and top with olive oil and rosemary; and swap chips with roasted chickpeas! 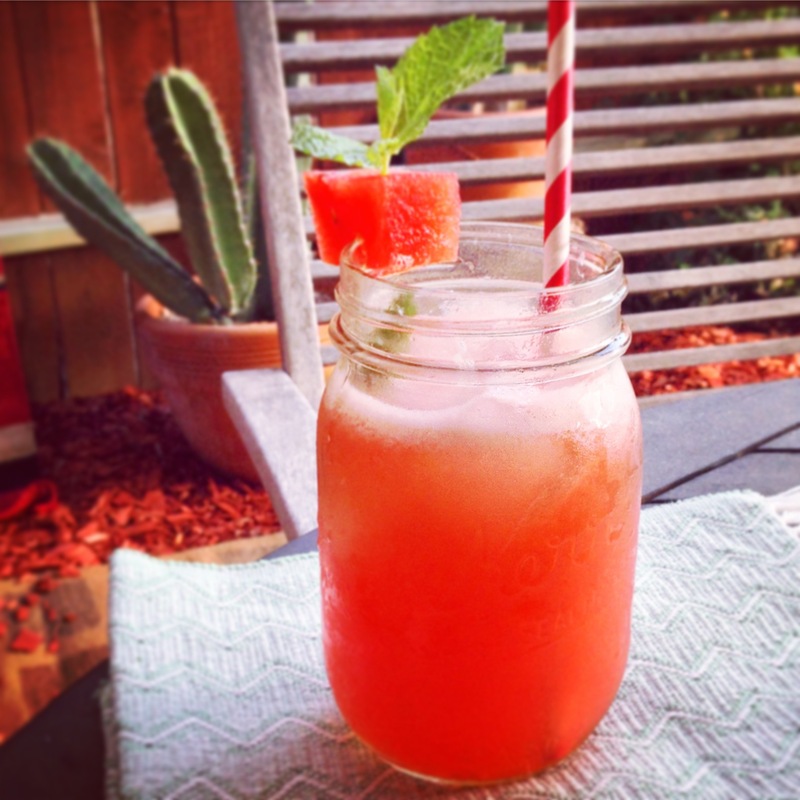 This entry was posted in Nutrition Tips and tagged beach season, detox, dietitian, Healthy Eating, Healthy Recipe, kitchen, Nutrition, Nutrition Tips, san diego, Spring Cleaning, weight loss on May 17, 2015 by JessicaSpiroRD. Turmeric is an amazing anti-inflammatory. You can add it to savory dishes and sweet ones! Increase the anti-infammatory properties by adding black pepper… sounds strange but gives it a chai-like flavor. 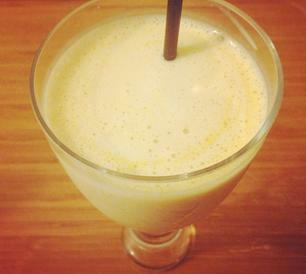 Here’s my easy turmeric smoothie. -Enjoy this energizing healing smoothie for breakfast or as a great pick-me-up snack! This entry was posted in Recipes and tagged antiinflammatory, banana, beach season, dietitian, easyrecipes, frozen fruit, healthy drinks, healthy snacks, healthyrecipes, heart healthy, san diego, smoothie, summer recipes, turmeric, turmeric smoothie, weight loss on April 18, 2015 by JessicaSpiroRD. National Nutrition Month – Spice Up Your Diet! National Nutrition Month – Spice Up Your Diet! – KUSI News – San Diego, CA. This entry was posted in Uncategorized on April 18, 2015 by JessicaSpiroRD. How to Get Your Kids to Eat Healthy So You Can Too! It’s hard enough to eat healthy when you’re juggling your kids’ jam-packed schedules as well as your own professional and household responsibilities. 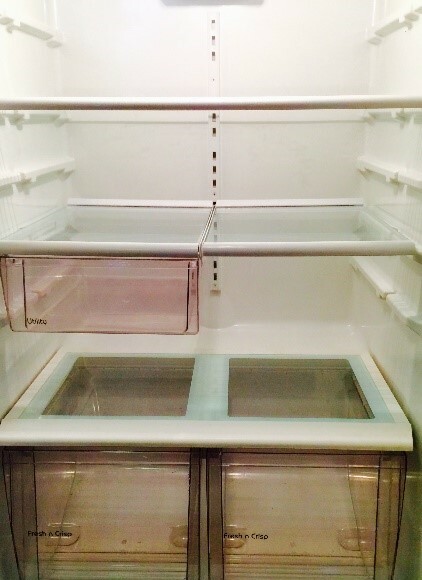 Then throw goldfish, string cheese and fruity yogurt pouches into the mix and you have a recipe for a diet disaster. While kids are programmed to stop eating when they’re full, it’s not so easy for us adults. All the snacks foods we have on hand for our little ones can create mini landmines in our efforts to eat healthy. 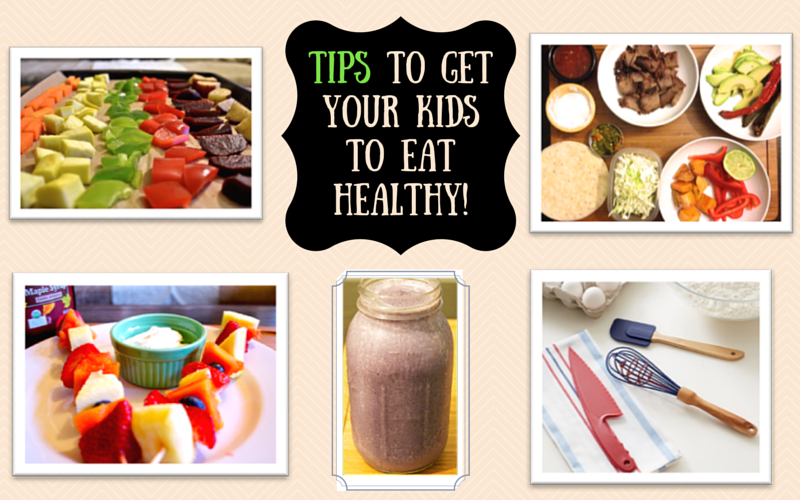 But there are a few tips to get your kids to eat healthy so you can too! You may be familiar with this trick already but making healthy food fun is a great way to encourage your children to eat the healthy foods that you like to eat. Try making happy faces with veggies and chicken on English muffin pizzas, putting fruits on kabob sticks, and creating tasty healthy dips with yogurt and maple syrup. The possibilities are endless! Cooking with your kids is a great way to get your little ones to explore new foods and teach them about healthy eating. Even if they don’t want to eat all the foods they make, they will still feel proud of their creations and be more likely to try foods they don’t typically eat. An added bonus of having your child help in the kitchen is that it’s a great activity to keep them busy while you get the cooking done! Most moms may not have much luck getting their little ones to eat brussel sprouts, broccoli or bites of their beloved kale salads and that’s OK. Veggies in the cruciferous family tend to be slightly bitter and also exceptionally low in sugar, which means not so kid-friendly. But one mom-tested, kid-approved way to get your child to eat more vegetables is to choose sweeter veggies, like butternut squash and beets. Then bring out the natural sweetness by roasting them with a touch of white vinegar, a squeeze of lemon and butter/olive oil. Add to the appeal by cooking up a rainbow of veggies! Most kids have no problem gulping down fruit smoothies, but one sight of your green smoothie and you may hear the words, “ewww!” So how can you make a one-smoothie-fits-all so you’re not spending all afternoon feeling like you work at a Jamba Juice? Try adding bright-colored frozen berries, like blueberries, to your green smoothie. The pigments, known as anthocyanins, are not only rich in nutrients, but also color. That means your icky green spinach smoothie will turn into an appealing purple at the press of a blender button. Here in San Diego, we love our Taco Tuesday! Even if Taco Tuesday no longer means half-priced fish tacos and margaritas, it’s a great way to make dinner easy and healthy for the whole family. Just put out some whole wheat or corn tortillas, which are both higher in fiber and nutrients than white tortillas, some veggies (e.g. bell peppers, shredded lettuce, and salsa), and protein (e.g. chicken, beef and/or beans), and you are good to go! Whether it’s Taco Tuesday, Spaghetti Saturday or Meatless Monday, theme nights can take the stress out of having to wonder what to make for dinner. Check out this blog featured on MomCO App!